WH dismisses CNN lawsuit against revoking of press pass of correspondent Jim Acosta following tense press briefing. The White House dismissed the lawsuit filed by CNN against the White House for revoking the press pass of its correspondent, Jim Acosta, as "grandstanding." CNN filed the lawsuit after the White House revoked Acosta's 'hard pass' over his conduct at a press briefing given by US President Donald Trump. During the briefing, Acosta challenged the president over an anti-illegal immigration ad, interrupted another reporter's question, and refused to yield the floor to other reporters after having asked several questions. He also prevented a White House intern from taking the microphone from him. During the exchange, which grew increasingly heated, Trump told Acosta: "When you report fake news, which CNN does a lot, you are an enemy of the people." CNN claimed that the revocation of Acosta's press pass was in violation of the First and Fifth Amendments to the US Constitution. White House Press Secretary Sarah Huckabee Sanders released a statement in response to the lawsuit: "We have been advised that CNN has filed a complaint challenging the suspension of Jim Acosta's hard pass. This is just more grandstanding from CNN, and we will vigorously defend against this lawsuit." "CNN, has nearly 50 additional hard pass holders, and Mr. Acosta, is no more special than any other media outlet or reporter with respect to the First Amendment. "After Mr. Acosta asked the President two questions—each of which the President answered—he physically refused to surrender a White House microphone to an intern, so that other reporters might ask their questions. "This was not the first time this reporter has inappropriately refused to yield to other reporters. "The White House cannot run an orderly and fair press conference when a reporter acts this way, which is neither appropriate nor professional. 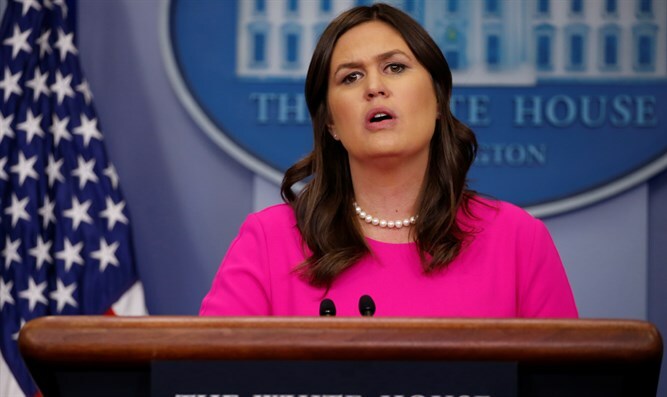 The First Amendment is not served when a single reporter, of more than 150 present, attempts to monopolize the floor," Huckabee Sanders concluded.